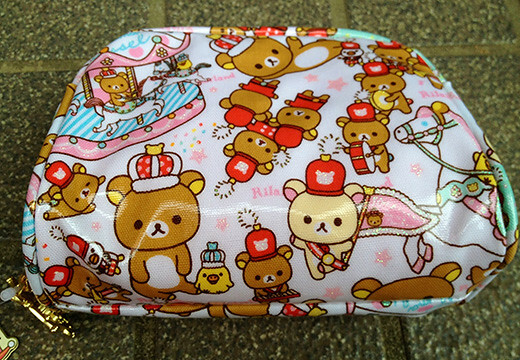 I got a Rilakkuma 10th anniversary Wonderland Cosmetic Make up Bag. 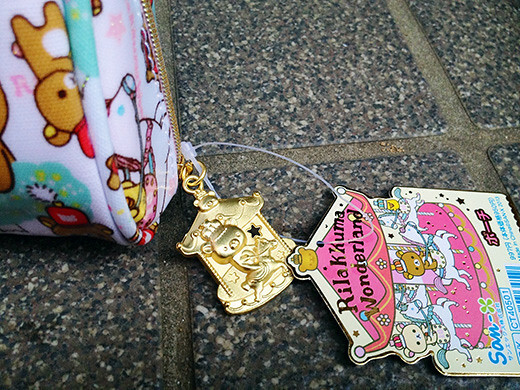 Rilakkuma Wonderland Series are so lovely. The theme seems to be royalty and celebrations. 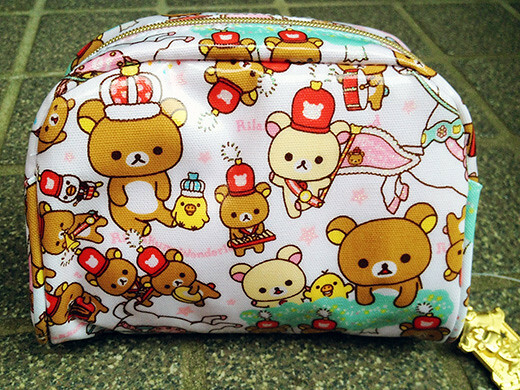 It’s happy to have the cosmetic make up bag with Rilakkuma, Korilakkuma and Yellow bird.